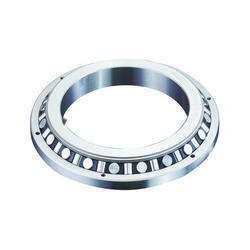 Offering you a complete choice of products which include four row cylindrical roller bearing, double row taper roller bearing, cross roller bearing, four row taper roller bearing, single row cylindrical roller bearing and single row crossed roller bearing. 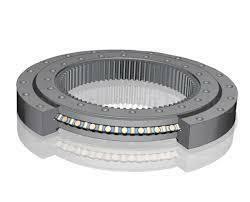 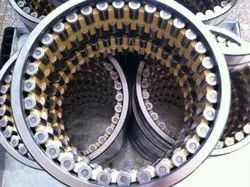 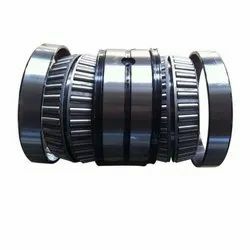 We are amongst the reputed organizations, highly engaged in offering an optimum quality range of Four Row Cylindrical Roller Bearing. 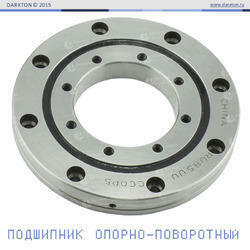 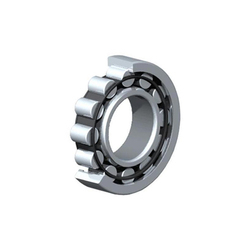 These bearings have tapered rollers which are guided by the thicker side of the cup. 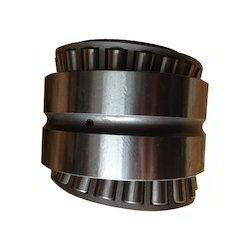 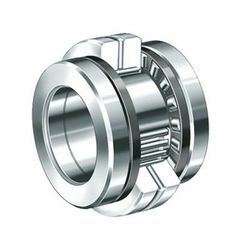 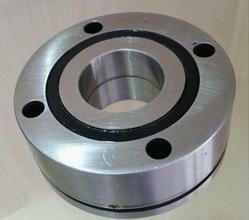 The design of the sliding surfaces of the cup and inner ring and the rolling elements when extended converge towards the same single point on the bearing axle, bearing tapered, tapered bearing. 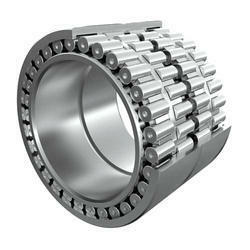 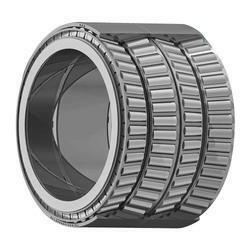 In order to cater to the numerous necessities of the patrons, we have been able to provide a qualitative range of Single Row Crossed Roller Bearing.